Discover learning pathways towards digital literacy. DigitalYouth creates learning pathways for youth toward digital careers. We work with educators and industry to create opportunities that support youth toward digital skills development. Our integrated digital skills education programs and experiential learning opportunities in and out of the classroom are designed to broaden the view young people have of technology and the role it can play in almost everything we do. Size of Canada's Digital Economy ... and Increasing! Estimated demand for digitally skilled workers in Canada by 2021. Increase of enrollment in ICT and STEM at Canadian Universities since 2017. Total employment of ICT professionals outpaces the entire economy.  DigitalYouth to Launch its First Business Skills Challenge, Presented by ICTC! This Business Skills Challenge is a unique opportunity for students from grades 6 to 12 to use digital skills in solving meaningful, ‘real-world’ digital challenges, as identified by industry, and win prizes! The Challenge will be posted on Riippen.com, and school teams will work collaboratively, under their educator’s supervision, and with a mentor from ICTC, to provide a real-world solution by a pre-set deadline. Introducing Business Skills Challenges at the middle and secondary school levels will engage students, helping them to acquire hands-on experience and develop confidence as our digital world becomes increasingly complex. As digital technologies change the composition of employment, online Business Skills Challenges will be an innovative collaboration between businesses and education that will help students to become the next generation of entrepreneurs, creators, innovators and professionals, to build the digital and business skills they will need to succeed. The Challenge will be posted to Riipen March 13. Students will have until March 29 to submit their solution. Please watch the following video on how to register with Riipen. CyberTitan is a National Youth Cyber Education Program with an annual Cyber Defense Competition in the spring of each year. Focus on IT (FIT) is a nationally recognized integrated certificate program for digital and ICT skills development for secondary school students. Middle Years Focus on IT (MyFIT) expands the understanding that middle school students have of technology and helps them build the skills they will need for the future. An all-access pass to building digital and ICT skills. Information on programs, training/development opportunities, and events available to educators and students across Canada. Explore the Digital Literacy and Skills Roadmap and discover where you fit into Canada’s digital literacy landscape.